Home Merchandise Funko News New Iron Man Red and Gold XS Hikari Set Coming Soon! New Iron Man Red and Gold XS Hikari Set Coming Soon! 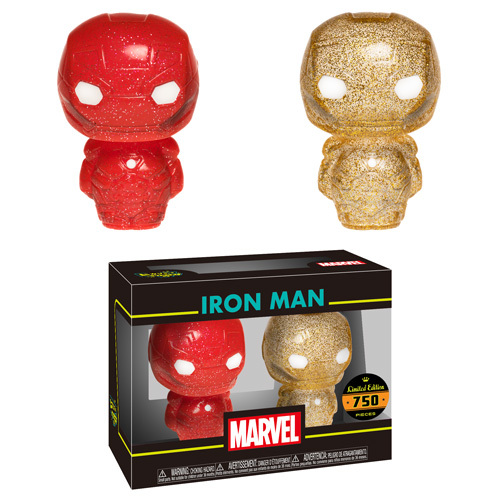 Funko has released a preview of the new Iron Man Red and Gold XS Hikari Set! The high-quality Hikari Sofubi XS vinyl figures stand 4” tall and are featured as a 2-pack. The Iron Man Red and Gold XS Hikari Set is LE 750. Click on the link below to pre-order the new sets today. Order Iron Man Red and Gold Hikari XS Figure 2-Pack from Entertainment Earth! Previous articleNew GameStop Exclusive Solo: A Star Wars Story Fighting Droids Pop Vinyl Set Now Available Online!